No minimum spend or contracts, simply stock up your home or office the stress-free way. We’ll pack your order with love and send it directly to your door, saving you from doing the heavy lifting. With our curated selection you can shop your old favourite brands, and discover some new ones too. We’re a small team, with big dreams. We believe in creating simple and innovative solutions to make the lives of everyone that uses our services, better. We proudly work with Beauty Banks and help fight hygiene poverty here in the United Kingdom. View their wishlist. Have you seen our latest Storage? 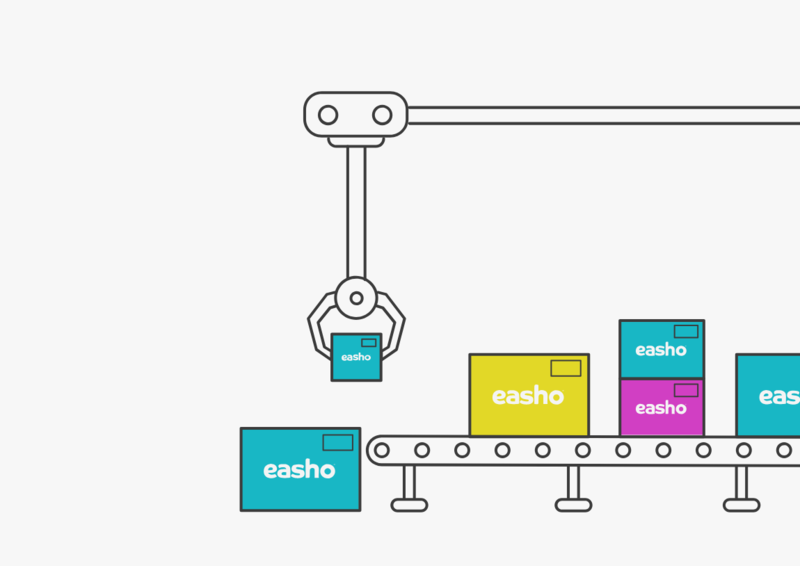 If you’re looking for inspiration on how to store your amazing bulk buys, check out how our Easho Family do it! Tag us in a post online and use the hashtag #eashofamily to make sure we see it! My 1st Easho Experience. Everything Excellent - choice of products, ease of ordering, delivery speed & information. Absolutely brilliant website that I have been, and will continue to buy all my essentials from! Great quality products at fantastic prices! Wouldn’t go anywhere else. Super quick delivery, everything I ordered came packed well! Great service, delighted I won’t have to go shopping again for a while and I saved lots of dosh! Great company thank you easho, I’ll be back ! !